What facilities do you need for your Gold Coast wedding? When choosing a venue for your wedding there are many things to consider. Do you want to be close to the water? Do you want water views? What facilities does the venue need to offer? Do you have guests travelling from interstate? Will they require accommodation? Are they flying or driving? Are there going to be a lot of children attending the wedding? How will your guests be getting to the wedding? Is there enough parking for all your guests? When choosing your wedding venue it’s important to choose a location that ticks all the boxes for you. The Gold Coast is an incredibly beautiful place and very popular for weddings so there are lots of options to choose from. Do you want a venue that is close to the beach? Do you want to get married at the same location as your wedding reception or will your ceremony be at a separate location to your reception? Would you like water views? Waterside Events at Currumbin RSL can tick all of these boxes for you. Located not far from Currumbin beach, you could chose to have your wedding ceremony at the beach then hold your wedding reception at the RSL. If you would like to hold your ceremony at the RSL there are multiple beautiful spots to choose from, including by the picturesque Currumbin Creek. When you choose to hold your wedding with Waterside Events you will immediately be assigned a personal wedding coordinator who will be there with you for every step of the planning process. Your wedding coordinator can advise you on just about any aspect of your wedding from decorations to photographers, and will work to ensure your special day goes off without a hitch. If you have guests travelling from interstate, close proximity to an airport will make travelling to your wedding much easier. Currumbin RSL is only a nine minute drive from the Gold Coast airport. There are car rental companies located close by the airport if your guests are interested in hiring a car. There are multiple accommodation options located between Currumbin RSL and the Gold Coast airport, which is very convenient for any guests that are flying. Currumbin RSL is also located not far from the Pacific Motorway so it is easy to locate, which is fantastic for those who are directionally challenged! If there are going to be a lot of children attending your wedding it would be worthwhile to see if your wedding reception venue has any child minding options or entertainment for children, such as a kids club or a kids’ room. Currumbin RSL has an excellent kids club which can keep the little ones entertained and give mum and dad a break. How your guests get to your wedding isn’t a major consideration, that’s their responsibility, however it is worth giving it some thought. On-site parking is always extremely convenient. Here at Currumbin RSL we have a 200 space car park dedicated solely to our functions and events department. Your guests are definitely going to be able to find a park. For those who are planning on not driving so they can indulge a little, the proximity of public transport, taxis or Ubers is something else your guests need to know about it. Here at Currumbin RSL we have something that is going to make your guests incredibly happy, we have a courtesy bus! That’s right, at the end of your wedding reception you and your guests don’t have to worry about organising transport, they can just book the next courtesy bus and they’ll be on their way! 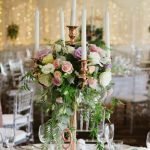 Choosing the right venue for your wedding can be a tricky decision with so many things to consider and so many options. Here at Waterside Events on the Gold Coast, our award winning team will work to ensure we can cater to all your requirements so you can have the wedding you always dreamed of. Contact us, today. It’s important to know what you want before you decide to book a venue. These are all factors that you need to consider as well, from the budget down to the caterer and everything else!